This lovely purple soap bar smells amazing! The lavender and coconut milk natural fragrance oil provides a beautiful scent that is further complemented with the natural fragrance of the lavender powder. INCI Ingredient Label: Sorbitol, Coconut Oil, Propylene Glycol, Stearic Acid, Water, Sodium Hydroxide, Glycerin, Coconut Milk, Titanium Dioxide, Fragrance, Lavender Powder, Mica, Tin Oxide, Iron Oxide. To measuring cup, add soap base and microwave until melted. To beaker, add fragrance and vanilla color stabilizer. Mix well and allow to sit for two minutes. Add purple mica and lavender powder to fragrance blend and mix well. Add mixture to melted soap and stir well. Pour soap into mold and spritz with rubbing alcohol. Allow soap to harden and then remove soap from mold. Wrap airtight in plastic wrap. To Use: Lather onto wet skin and rinse off. 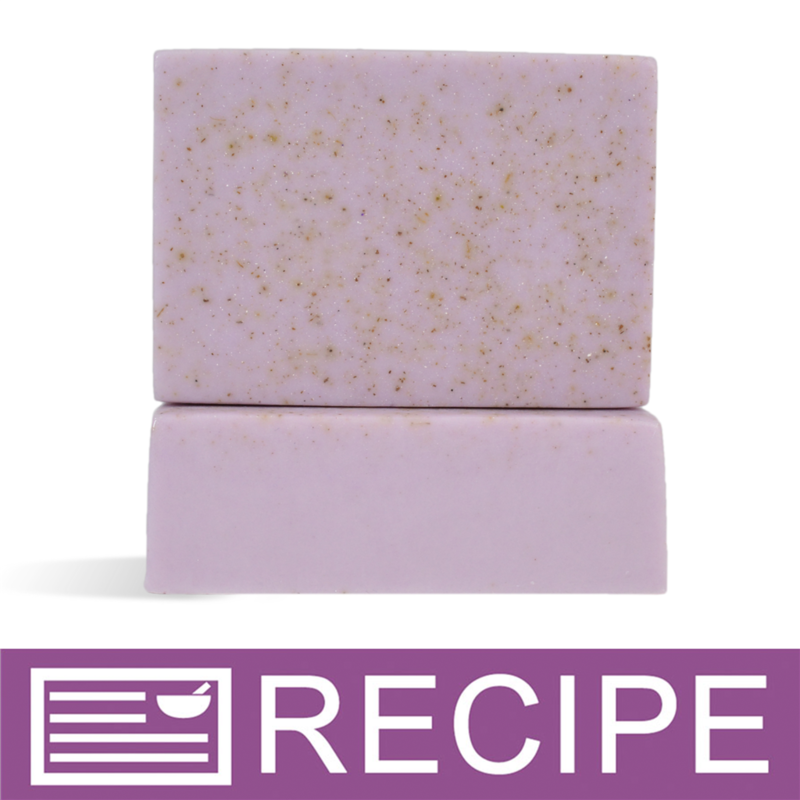 "Will the lavender powder discolor the way other botanicals do in MP Soaps? I have had dried rose petals and lavender buds turn brown. And can any fragrance be used or should it be a natural fragrance only because of botanical inclusion?" 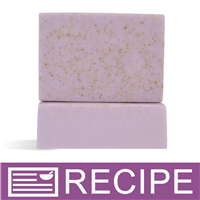 Staff Answer The lavender powder does not discolor in MP soap. You can use any fragrance or essential oil you like in this recipe.